The hospitality sector is expected to generate 907,700 new jobs by 2026, according to a report from training provider TheKnowledgeAcademy.com. TheKnowledgeAcademy.com’s more forward look saw large growth in tech-related jobs in non-tech industries, like finance, consulting and retail, as well as growth in employment in the healthcare sector, which is expected to create 1.1 million new jobs. 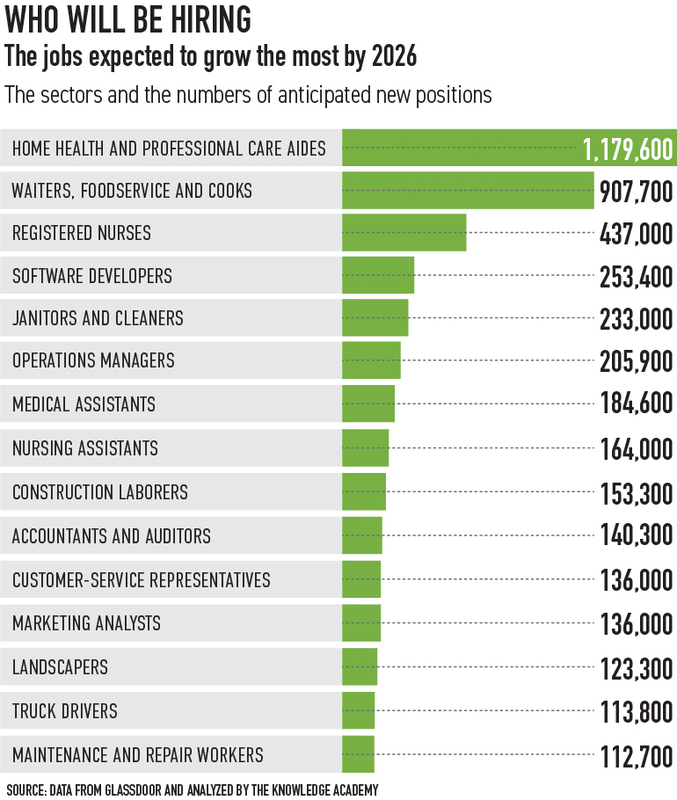 But the analysis found that more servers, foodservice workers and cooks will be needed than registered nurses.